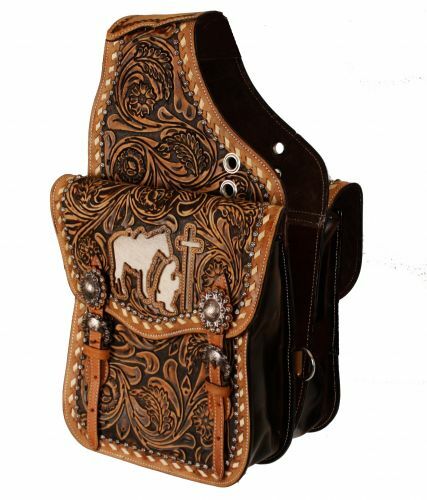 Showman ® Tooled leather saddle bag. This saddle bag features floral tooled leather with cutout praying cowboy with cowhide inlay. Comes equipped with front D rings and double roller buckles for security. Bag measures 10" x 10" x 3" with a 4" gusset.